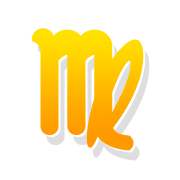 Free weekly horoscope for Virgo star sign, for the week 22 Apr - 28 Apr Read on to find out how this week’s astrology aspects will affect you, in matters of love, career and more. Dear Virgo, this week will be interesting and positive. You will be able to construct a balanced action plan for the days to come. You can also focus on matters of collaboration and team work. If there are domestic issues that demand collective decisions, now is the time to deal with them. During the weekend, you will have the chance to decompress for the stress and pressure of the week, as you will have a joyous, optimistic mood. You will feel the need to explore new things and activities. These days will be very positive for your relationship. Your good mood will bring conversations with your partner, ultimately leading to balance and harmony. You will feel the need to express your feelings to your partner, and this will make the mood warmer and more peaceful. You will be able to handle your insecurities correctly, so there will be no tensions or disputes. Conditions at work will be quite positive, giving you the chance to settle obligations and boost any stagnant matters. Make new acquaintances that will strengthen your professional status. You will be friendly and joyful, thus helping your collaborations. You may not be satisfied with your financial situation, but there is room for improvement. ♍ Get now more details about the impact of the planets this week, based on your ➳ Weekly Horoscope.